Who was Richard Ira Bong? President Calvin Coolidge spent the Summer of 1928 fishing as much as he could in Northern Wisconsin. Superior Central High School became the White House office during that summer, and just about every day an airplane delivered the President’s mail—flying directly over the Bong family farm in Poplar, Wisconsin. A young farm boy was so taken by the sight of that mail plane crossing the sky he dreamed of one day becoming a pilot… but not just any pilot. 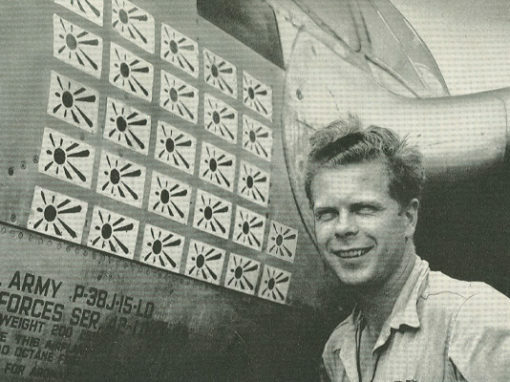 Richard Bong would go on to be the all-time leading American fighter Ace. Avenging what the Japanese brought to Pearl Harbor, Bong always stated he was just part of team doing a big job. Newsreels, magazines and radio programs followed his rise from the fighter pilot fighter that broke World War I Ace Eddie Rickenbacker’s record to the humble hero who scored 40 confirmed kills of Japanese aircraft. 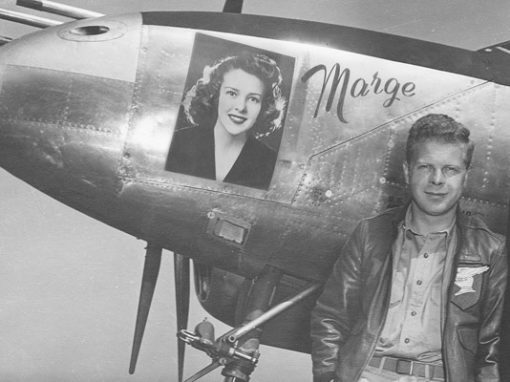 His P-38 fighter was named Marge after his girlfriend and he pasted her portrait on the plane that racked up an amazing record. 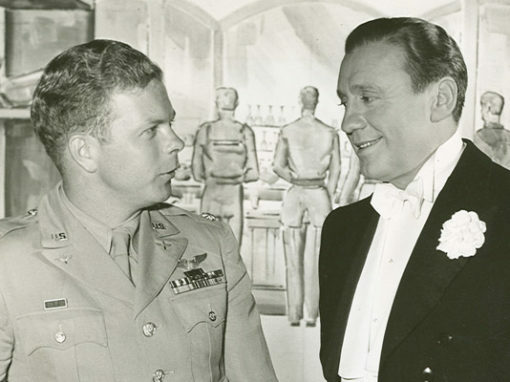 Before the End of World War II, Richard Bong became a household name. He symbolized what the war effort had become: common Americans banding together to fight tyranny. He was a young man doing his part, wanting to do his best so he could get home to marry his sweetheart and start a new life. 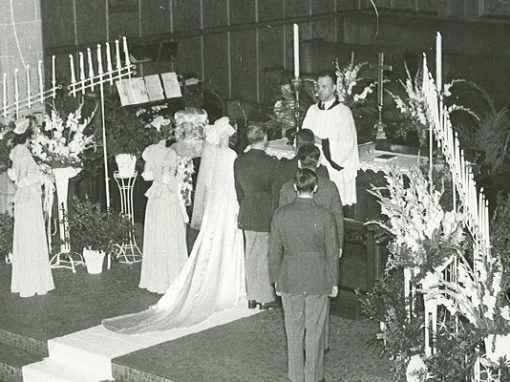 Eventually it was decided he would go home and in one of the most publicized weddings of 1945, Richard Bong married his beloved Marge. But like so many in the battle for freedom, he would not live to see the war’s end. Major Bong lost his life the day the United States dropped the Bomb on Hiroshima. 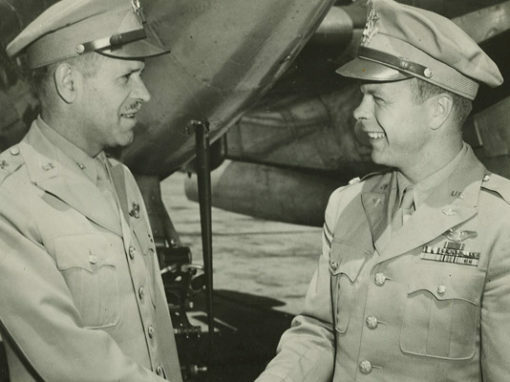 It was thought he was safe at home—but as a test pilot pushing the boundaries of aviation into the jet age, the world lost Richard Bong to history. Shooting Star: The Richard Bong Story is a what’s called a passion project. This is a film industry term for a project that one takes on for the love of the story and usually involves asking favors to complete. Writer/director Jon Anderson started the film in the Summer of 2004 while he was a film instructor at Valencia College in Orlando, Florida. Anderson and a former student traveled to Poplar, Wisconsin to film interviews with the Bong Family. 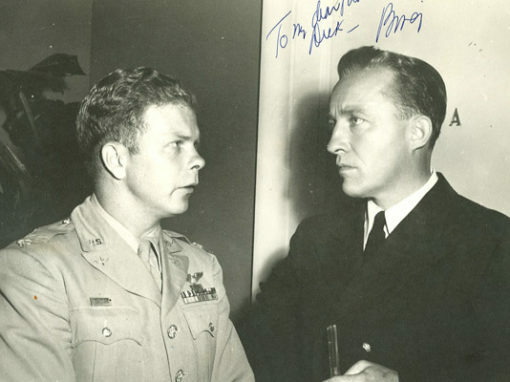 As travel and time permitted in the subsequent years, wingmen, tent-mates, and fellow World War II warriors were also interviewed. 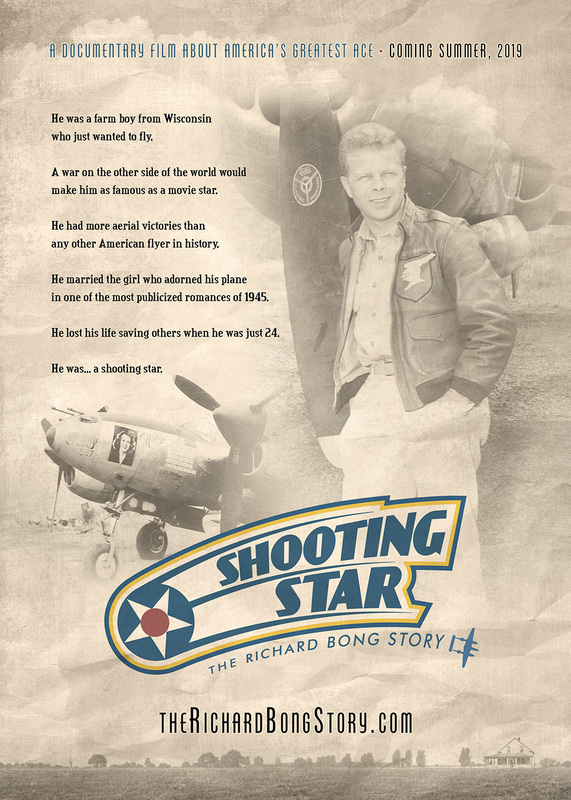 The goal of Shooting Star is to tell the story of Richard Bong as he would have wanted. It’s not just about him, but the part he played on a team dedicated to victory. 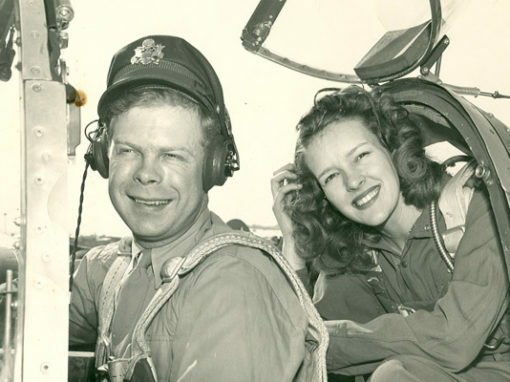 In the film, you will hear from a “Rosie the Riveter” who worked on P-38s on the Lockheed line in Burbank. 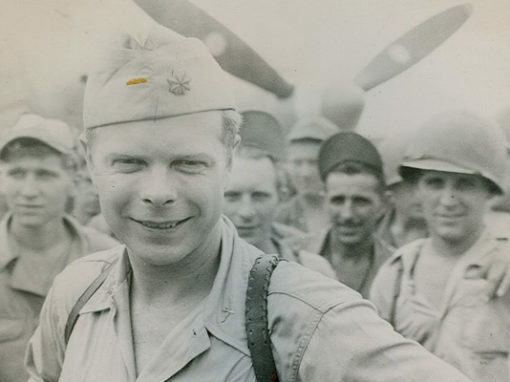 You will learn from a D-day paratrooper about what he thinks is the meaning of a hero. And you will understand what was like to live during World War II—an age when victory was uncertain. If aviation and history are your passion, you can help us complete Shooting Star! The interviews are captured and the story is set. We need to raise a post-production budget of $50,000 to illustrate this great American story. We are now in a very exciting time where technology and entertainment have come together and we are ready to put images to the exciting story at hand. 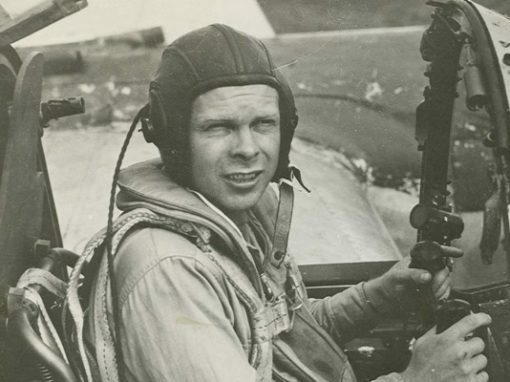 In order to tell the story of America’s greatest fighter ace, we want to recreate some of Major Bong’s most exciting flights and close calls. Together with sound effects and a musical score, this documentary will entertain and educate on a level that competes with a Hollywood feature. You can follow our progress on Facebook or you can be part of the production. 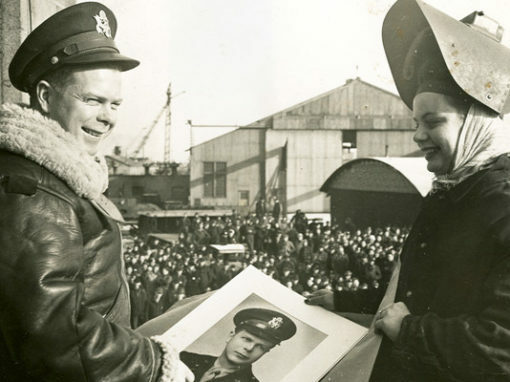 In a crowdfunding-style fundraising campaign, we are offering some unique products and opportunities while preserving the legacy of America’s greatest Ace.